Texas Is Running Out Of Pentobarbital, The Drug Used For Lethal Injections, So What Will The State Do? Texas executed Manuel Garza Jr, its sixth inmate this year on Wednesday, marking its second execution in a week after the death of Kent Sprouse last Thursday. Out of 13 executions in the U.S. committed this year, that makes Texas the most active state with the death penalty. 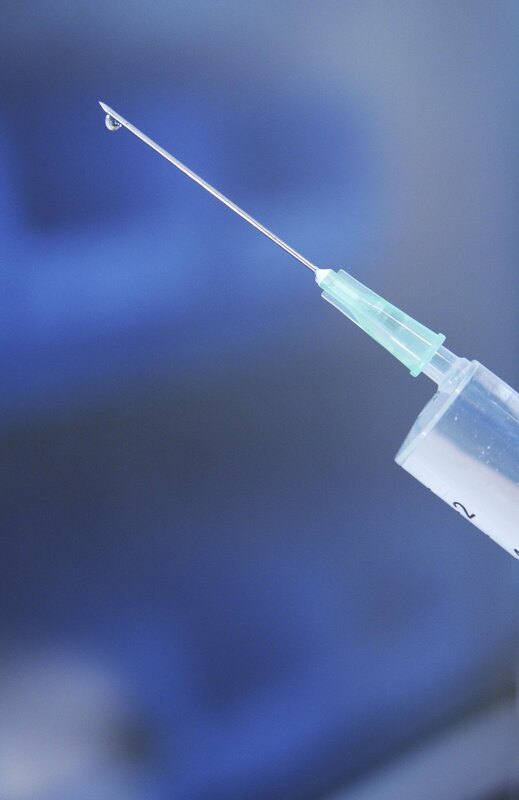 But the state's supply of pentobarbital, the drug used in lethal injections is dwindling in Texas, with just enough left for the executions of prisoners Richard Vasquez and Robert Pruett scheduled later this month. Whether the state will be able to secure more of the drug after that remains to be seen — and it raises questions about what the state will do without access to performing legal lethal injections if it cannot. Manuel Garza Jr., the San Antonio man executed this Wednesday, was convicted more than 14 years ago for shooting and killing a police officer with the officer's gun. Garza was 35 years old when he died. According to a report by NBC News, Garza already had a criminal record at the age of 20, when he was stopped by Officer John "Rocky" Riojas. When confronted, Garza allegedly ran away and Riojas pursued him; according to witnesses, the two struggled before Garza grabbed Riojas' gun and fatally shot him. Garza received a lethal amount of pentobarbital, leaving the state's criminal justice system with enough of the drug to go through with the next two executions — one of which is another man convicted of killing a police officer. Jason Clark, a spokesperson for the Texas Department of Criminal Justice has said they are exploring "all options, including the continued use of pentobarbital or an alternate drug in the lethal injection process," in a report from CNN. The shortage of pentobarbital, which has been used by 14 states to date, leave states with the death penalty faced with the unenviable choice of executing prisoners with methods like a firing squad (as in Utah), or controversial drug cocktails (as in Florida, Oklahoma, and Arizona). And obtaining pentobarbital has become increasingly difficult: In 2011, the European Union banned the export of the drug to the U.S. in an attempt to stop American prisons from using their product in executions. Some pharmaceutical factories have stopped producing the drug altogether. The result is that nine states have used or obtained pentobarbital made in compounding pharmacies, which are able to manufacture near-copies of commercially available drugs by mixing or altering other substances. Compounding pharmacies do not have to meet the same safety standards as accredited pharmacies, making them an unsafe environment to manufacture drugs for the public. Using these alternate drugs, like spokesperson Clark suggested, can lead to botched executions, as the public learned in April, after Oklahoma attempted to execute Clayton Lockett using an untested mixture of three drugs that were allegedly known to cause torturous death. But if the state of Texas does not obtain more of the lethal drug, the future for inmates awaiting the death penalty is unclear. Exhausting the state's supply could mean that inmates awaiting the death penalty might spend weeks or months on death row, dragging out an already lengthy and painful process for the prisoners' family members. The alternative, of course, is for the state to reconsider its use of the death penalty. Vice President John Kerry urged the state legislature to do so earlier this year, arguing that the state's use of the death penalty could even upset U.S.-Mexico relations. The Texas state government, however, has remained silent on the subject.